Portrait of mature woman enjoying life after retirement and looking at camera. 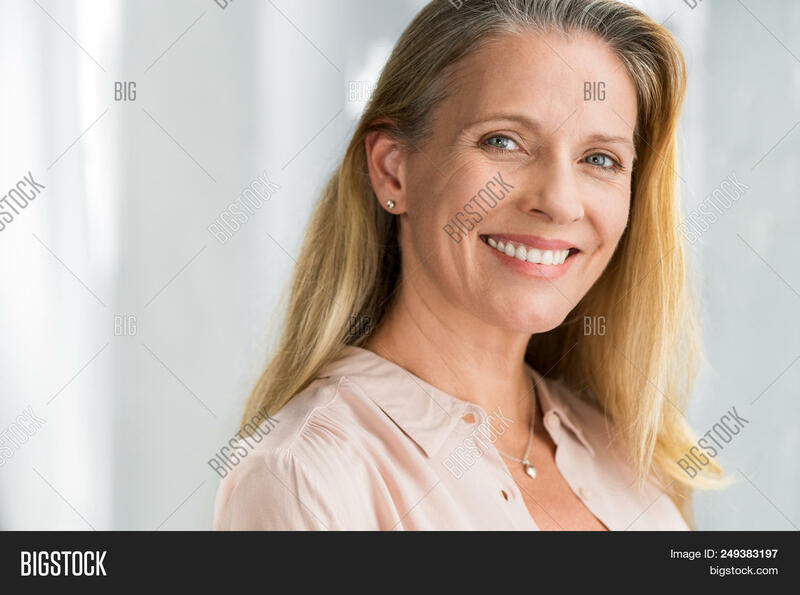 Closeup face of happy senior woman with blond hair smiling. Beautiful smiling lady indoor.